The Mill, Grey New York and Bryan Buckley of Hungry Man collaborated to create the 'Marionettes' campaign. 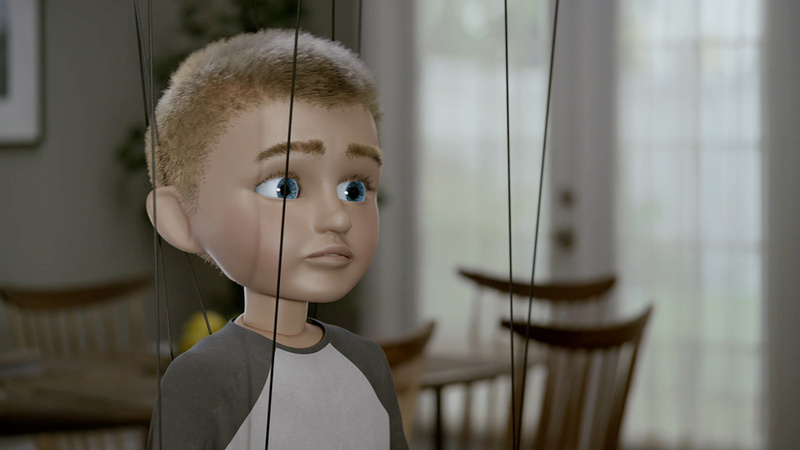 'Dad Fight' features 100% CG dolls on strings to promote DirecTV's wire-free boxes. Chris Bayol, shoot supervisor and 3D lead artist, explained: "The most important decision was choosing to shoot real actors in full wardrobe in place of the marionettes. This gave us a live set in which Bryan could direct and the actors could engage with real characters in their performances. "We studied the animation language of how marionettes move in great depth, even shooting puppeteers at Legacy Effects who are incredibly skilled and just amazing to watch! There were times where we heightened the clumsiness to add to the comedy value and other moments where we toned down the exaggeration to convey the emotional connection between the characters." "Live performance direction meant we could establish comic pace, ground the animations in reality and recognize the visual direction we were heading in from the start. It's a brilliant example of a great collaboration." Check out the first spot in the campaign, 'Lemonade', here.